Twelve to fifteen students are selected each year for the CCL/Mellon Foundation Seminar in Curatorial Practice. Candidates for the Seminar should be full-time students enrolled in a doctoral program (or its equivalent) in art history, or a related field of study with significant coursework in art history. Eligible candidates will have completed their oral examinations before the program begins and will have, at minimum, determined the topic of their dissertation research. Students who will have successfully defended their dissertations prior to the start of the program are not eligible to apply. CCL seeks an inclusive group of participants from across the United States and abroad. The ideal candidate has a strong academic record and demonstrates intellectual and professional curiosity, an interest in exploring the curatorial field, and the ability to work well with others. Previous museum experience is common, but not required. Applications to the 2019 CCL/Mellon Foundation Seminar in Curatorial Practice were due Tuesday, January 29, 2019. Following review, finalists will be contacted for interviews in April 2019. The 2019 class will be announced in early May 2019. Applications to the 2020 program will open in November 2019. All Seminar application materials, including recommendations, are to be submitted online through the CCL website. Applicants will create an account to access the application. Applicants may enter information, save, and return any time before the deadline to edit and continue the application. Applicants will enter the information for one recommender in the online application. The recommendation should come from a graduate advisor, another professor, or a museum professional who is able to write knowledgeably about, and in strong support of, the applicant's candidacy. Applicants should contact their recommender and ask them to write on their behalf before adding the individual's contact information to the application. Once their information is entered into the application and saved, the recommender will receive an auto-generated email with instructions and a link to the online recommendation page. Recommenders can prepare the text in Microsoft Word and then copy and paste it into the recommendation submission form. Is the Seminar intended for art historians in a particular area of study (for instance, Byzantine art)? 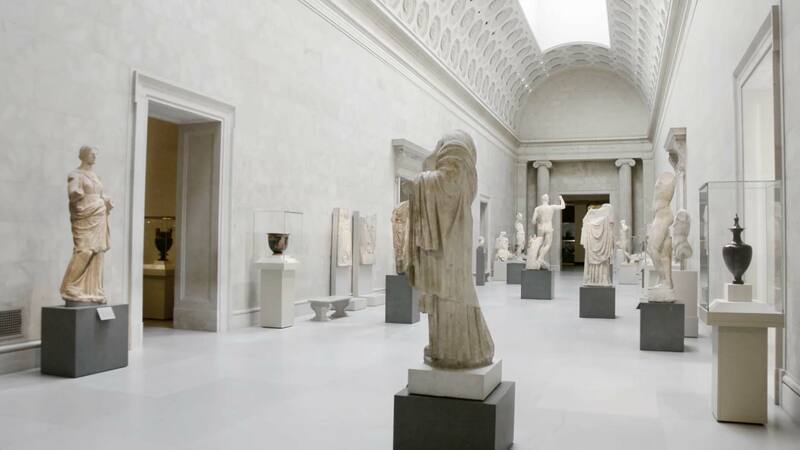 Just as art museums represent and celebrate a broad range of media, cultures, and time periods, CCL cultivates emerging potential curators working in all areas of art history. Do I need to be nominated by my graduate program? No. Applicants only need to submit an application and one recommendation. Can I supply more than one recommendation? Applicants may only submit one recommendation. How much time do I have to decide if I want to accept the offer? Upon acceptance in the spring, students will have one week to sign a formal written contract committing to their participation in the Seminar. What if I am applying to other concurrent programs? Can I change my mind? Once participants return their signed program contract, their participation in the Seminar is considered confirmed and final. If I have other commitments, can I attend a portion of the program? No. The program is a comprehensive and intensive experience. Accepted students are required to attend all sessions during the two-week period. If a candidate has other commitments during the program, they need not apply. Is CCL affiliated with a university or museum? Can I receive school credit? The Seminar is funded by the Andrew W. Mellon Foundation, but is not affiliated with any specific museum or university. A certificate of completion will be granted at the end of the Seminar. No school credit is offered for the course. There are no tuition fees or direct costs associated with the Seminar. CCL is committed to ensuring that financial resources do not preclude any student’s application or participation. Round-trip travel to New York City and dormitory housing for the full two weeks of the program will be provided for students residing outside of New York City. In addition, CCL will provide all students with a stipend to cover the costs of transportation and meals not organized by CCL. Can I apply again to the program if I was not accepted in previous years? Candidates are welcome to reapply, but must submit a new application each year. Applications are reviewed by CCL and a small committee composed of museum professionals and art historians. If I have further questions, whom should I contact?